Jelly Bean, Ice Cream Sandwich, Gingerbread - are we at a kid's birthday party? Manufacturers are finally getting their heads around the idea of updating devices to the latest version of Android as Jelly Bean overtakes Ice Cream Sandwich for the first time. 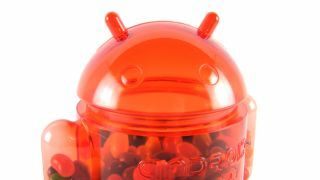 In the 14 days leading up to May 1 Jelly Bean found itself on 28.4 per cent of devices worldwide, while Android 4.0 accounted for 27.5 per cent. However the firm leader is still the ageing Android Gingerbread platform - also known as Android 2.3 - which happily sits on 38.5 per cent of phones globally. Has all this food-related tech left you hungry for more bite-size portions of awesome? Luckily there's plenty more where that came from, so grab a spoon and dig in.